According to reports in Turkey, Liverpool are on the brink of missing out on Galatasaray wideman Kevin Grosskreutz, who has agreed a move to Stuttgart. The Telegraph [via the Mirror] reported in December that Jurgen Klopp was keen to bring the international to Anfield, liberating the 27-year-old from his miserable spell at Gala in the process. 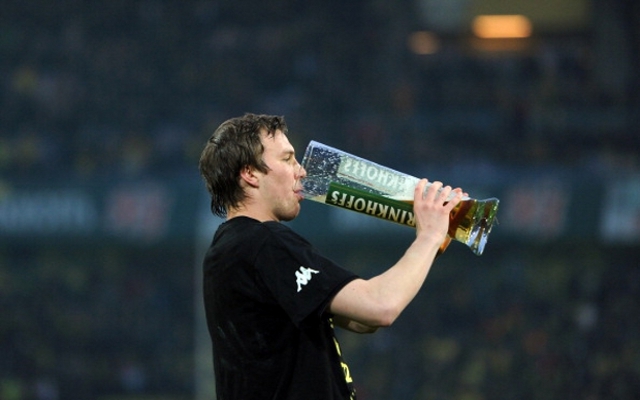 Grosskreutz enjoyed great success with Klopp at Dortmund; the duo won two Bundesliga titles together, while they also reached the Champions League final. The player also has a World Cup winner’s medal, having been part of the Germany squad that defeated Argentina in 2014. Klopp oversaw Grosskreutz’s progress, and made him an effective Champions League wideman, however, the player’s summer switch to Turkey has not worked out, and the player has been unable to play for the Istanbul giants following an administrative error. While Grosskreutz might have been a valuable addition to the Reds, Turkish source Milliyet [via Bild] report that the Merseyside giants have missed out on the player, who has opted to move back to Germany to help Stuttgart in their relegation dogfight. According to the Turkish media [again via Bild], the German side will pay €2.6 million to sign the player, a fee that would presumably have been comfortably within reach for Klopp. Ambitious Hannover 96 were also understood to be keen on the player [as per Milliyet].